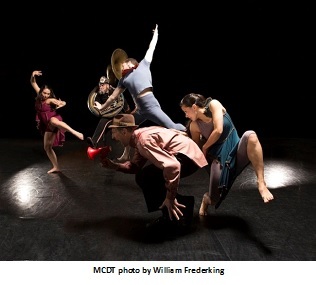 Mordine & Company Dance Theater (MCDT) celebrates its 45th Anniversary this spring. Under the leadership of founder and artistic director Shirley Mordine, the Company has established itself as the longest running dance company in the Mid-West. 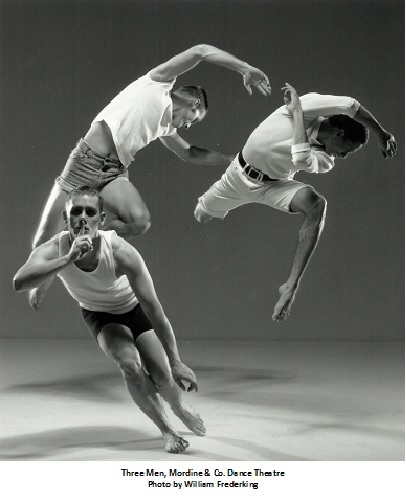 With a special focus on collaboration, Mordine's Company will leave a lasting dance legacy. Describe your organization’s mission and its work in 3 adjectives. Please explain the adjectives you selected. Distinctive. 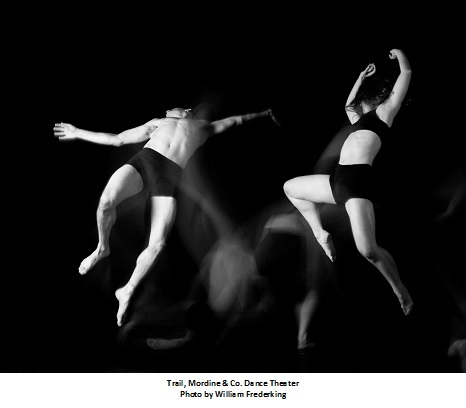 MCDT utilizes a workshop process in which performers focus on the articulation and clarity of intention in developing new work and performance. This method creates work that is emotionally lucid and instantly accessible. Daring. Performers boldly experiment with movement that covers a wide range of emotions, exploring provocative situations that elicit exciting, unexpected results. Captivating. Although its inherent visual appeal is what might first engage viewers MCDT’s work focuses on giving audiences the opportunity to recognize and respond to a range of emotional tones: humorous and comedic, contemplative and serious, poetic and lyrical. Describe 2-3 collaborative choreography experiences, and explain why collaboration is an important aspect of the Company’s artistic vision. Collaboration is essential to MCDT’s vision in order to create a range of performance environments that immerse each piece in its own distinctive world. The Company’s repertory includes collaborations with artists from diverse disciplines: choreographers Ishmael Houston-Jones, Murray Louis, and Miguel Mancillas; composers Tatsu Aoki, Shawn Decker, David Pavkovic, Joseph Reiser, William Russo, Henry Threadgill, and Richard Woodbury; visual designers John Boesche, Ken Bowen, and Amy Lee Segami; puppeteer Michael Montenegro; and video artist Miroslaw Rogala. Two of the Company's recent collaborations are Pushed to the Edge and Truth Spin. Pushed to the Edge brings the classical Indian genre of Bharata Natyam, practiced by Natya Dance Theatre, together with contemporary Western dance, as practiced by MCDT, into a cultural encounter examining the crisis of identity that those with roots in two cultures encounter. Music was composed by Chitravina Ravikirin and played live onstage, and visual projections were designed by John Boesche. The companies revealed the differences in their aesthetic and performance styles while respecting and maintaining their separate practices, never trying to fuse the different art forms. Truth Spin, a collaboration with noted composer Shawn Decker, involved the installation of five light beams from downstage to upstage. By interrupting the light beams designed and installed by Ken Bowen, the dancers triggered the sound score which, in addition, could be electronically altered by the composer during the performance. Where do you see dance in the future and how does your organization fit within that vision? I see choreographic and performance approaches devised to increase audience involvement and participation by incorporating a range of performance genres to include traditional, contemporary, and different cultural styles. Future works may feature crossover media and art forms, and be presented in open, readily available - even unusual - performance venues. MCDT fits within this futuristic vision as we often talk about change versus transformation, the idea that we are not releasing what we have learned from the past in favor of the new. Instead, we take the Company’s collective knowledge and constantly transform it, incorporating new information, methodologies, ideas, and technologies with what we know from practice and experience. As the landscape of dance continues to shift, we anticipate, listen, and respond with knowledge of our history and an eagerness for the possibilities of connecting with the future.